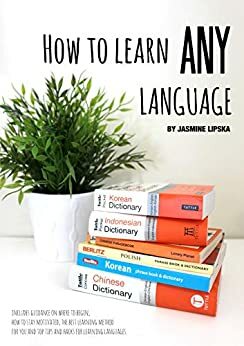 'How to Learn Any Language' is a comprehensive guide useful for anyone who is currently learning or interested in learning any language. Whether you are a beginner, intermediate learner, or simply desiring to learn, this eBook will help you regardless of what stage in your journey you are at to make your language learning experience effective for you. From the basics to the best tips and tricks, all you need to know about language learning starts right here. Jasmine Lipska is a Lifestyle Youtuber, Travel Vlogger, Author, Creator, founder of ‘The Blissful Soul‘, and Wellness advocate, inspiring positive change into people’s lives around the world. Through sharing her passions for self-love, holisitic health, conscious living, and intentional being, Jasmine is here to help guide you to connect to your Highest Self, live a meaningful life bursting with love, and be the best version of you. Being known for her ability to learn and speak several languages on her YouTube channel, Jasmine's passion for language learning can be seen through her love for sharing informative, motivational, and fun videos including her best tips, insights and experiences. With an audience of over 200,000 people around the world, Jasmine has empowered thousands globally to also pursue their love for language learning unapologetically, providing guidance on how to do it the most effectively and enjoyably. Having grown up in a bilingual household speaking English and Mandarin, Jasmine also learned Indonesian throughout high school, where she obtained First Prize for two years in a row in her Indonesian State Oral Competition, as well as a scholarship to visit the Indonesian Diplomat Ambassador to Australia in Canberra. In addition, she has been self-taught Korean through her pure love for the culture, and along her life journey has learned several other languages including Italian and French. Jasmine also has experience in tutoring languages for toddlers and high school students. "Through my life experiences of language learning, I have written 'How to Learn Any Language' with all of my heart and soul, passion, wisdom, and knowledge to help you through your own language learning journey. Not only do I have the confidence to guide you successfully, this guide can also serve as a your motivator and inspire you to continue learning languages. The best part is that you may refer to this timeless eBook at any time, and use the guidance provided in other areas of your life for a positive impact as well."